Sometimes, life's good. Sometimes . . . not so good. Funeral Talks, Grief, Family Stories and "Other Stuff". "Other Stuff" includes information for those dealing with grief and loss. Grief is tough. Grief results from loss. The loss may result from job loss, the end of a relationship -- even a move away from the familiar. And nobody's grief is exactly like any other. U-Lo-G began as an attempt to ease the pain of grief by making appropriate information available online. I hope you'll read some of the short stories here -- True stories about Real people. Time passes bringing new events – both good and bad. And those of us who have been touched by loss wonder how the rest of the world can keep going as if nothing ever happened. We need hugs and tears and times for silence. This section is for me but you're welcome to read it. Our Sweet Boy . . . I do hope that the information available here can help. Really . . . I use it myself. Back in November of 2010, our grandson began his battle with ALL (Acute Lymphoblastic Leukemia). His younger sister donated her bone marrow for his first transplant. His mom gave him some of her NK cells during a study at St Jude's hospital. She has also been keeping family and friends updated through Caring Bridge. Caring Bridge is a genuine blessing to families going through illness. If you haven't heard of them before, take a few minutes to visit the official Caring Bridge site. Family members can easily post information on their free personalized pages. This allows the family to keep friends informed. And folks don't feel like they are intruding. This was especially helpful for us because Liam's ability to fight infection was so low that he had to be in an isolation unit. Friends were not allowed to visit. Liam had his first bone marrow transplant at Cook Children's hospital in Fort Worth, TX. Since Fort Worth is only a few hours from Abilene, friends were able to visit and encourage. 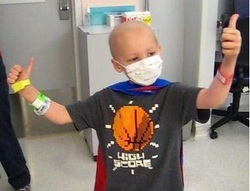 Liam received a second bone marrow transplant at St Jude Hospital in Memphis, TN. This one came from an unrelated donor. For more information on becoming a bone marrow donor, please visit The National Marrow Donor Program. In our case the leukemia returned a second time. The family returned to Abilene and Liam received care from a local hospice. We have been blessed by prayers and other expressions of concern from folks all over the world. One blessing has been the Habitat for Hope (HfH) near Millington, TN. HfH provides free housing for families seeking treatment for a child with a serious illness. The Horrocks family provides a fully furnished apartment in their home. The housing at St Jude is limited to 4 people per unit. When grandparents are involved we've got as many as 6 in the house so HfH has been a blessing. The house is about 20 minutes from the hospital. Since it is in "the woods," the grounds provide a "naturally" soothing setting. Liam's battle with Leukemia ended on January 17, 2012. But he continues to touch lives . . . 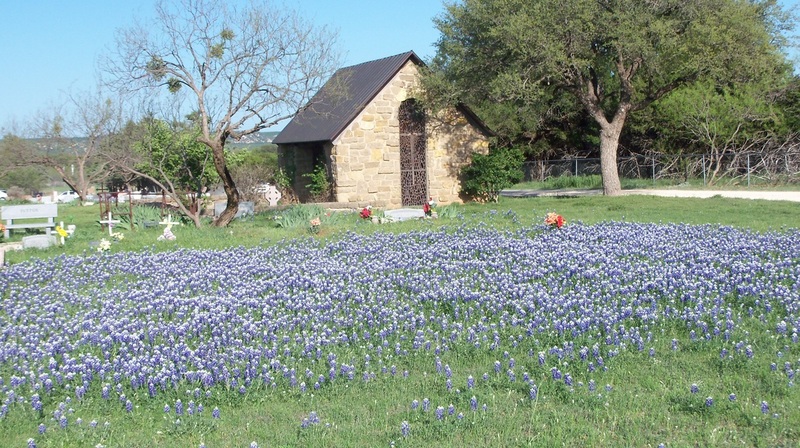 The Abilene ReporterNews (obit) and the Christian Chronicle. There was even an Art Show in Abilene in September of 2012.